For anyone who does not know, Pooh Sticks is a simple game that was created by the author AA Milne for his son Christopher Robin Milne and was first unveiled to the world in the book The House at Pooh Corner. Since then it has become a popular game that even has its own world championships. If you have never heard of Pooh Sticks chances are you have never read any of the delightful books featuring the honey loving bear. Now is an ideal time to get reading. Of course Pooh has also been immortalized by Walt Disney. You don’t have to spend a fortune to enjoy great stories. You don’t have to spend any money to play Pooh Sticks; it’s simple, free fun to keep anyone entertained. 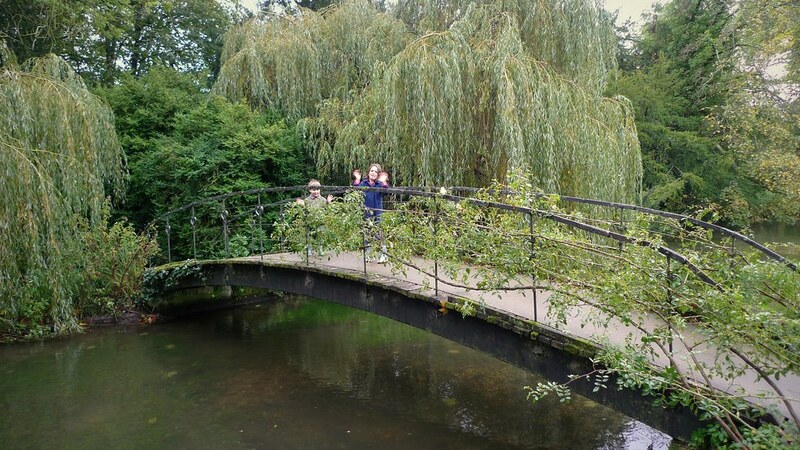 We’re going to take a look at some of the best bridges on which to play Pooh Sticks, as listed by Visit England. Before that we are going to give you a brief outline of how to play. There is nothing complicated about Pooh Sticks. Two players or more first choose a Pooh Stick which is basically a wooden twig or piece of branch that is light enough to float easily. They stand on one side of a bridge over a flowing stream or river and throw the stick into the water. All players then run to the other side of the bridge to see whose stick emerges first. The winner is the owner of the first stick to pass under the bridge. It’s a really simple game but good fun. Many of those that play Pooh Sticks are young children and it’s important that they are supervised at all times. Pooh Sticks should only be played on secure and safe bridges where children are unable to fall into the water. Pooh Sticks should also only be played where the water is slow flowing. Visit England drew up a list of some of the best Pooh Stick bridges in England and we are going to take a look at a few of them. Derbyshire is a beautiful part of England, with its stunning countryside and traditional towns and villages. Sheepwash Bridge gets its name from the fact that it was traditionally a place for farmers to wash sheep, but it’s also the perfect place to play Pooh Sticks. 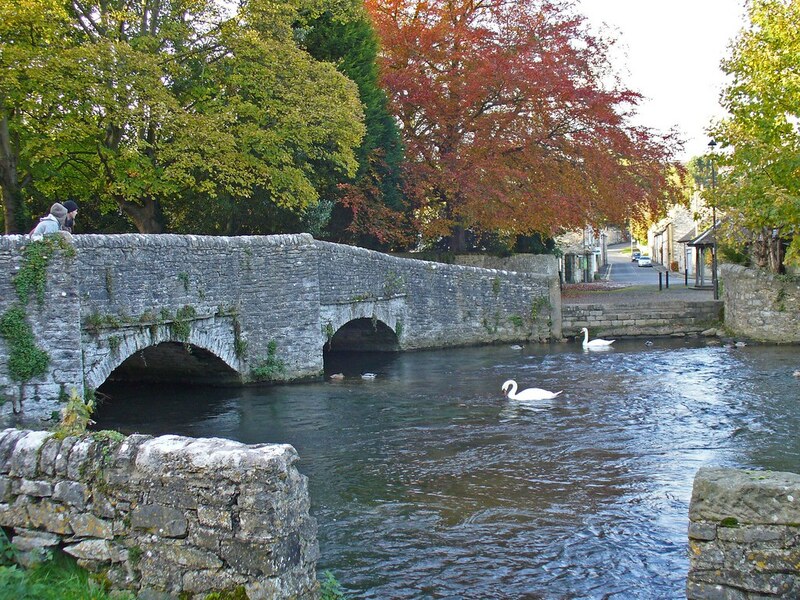 The site of the bridge is the quaint village of Ashford-in-the-Water, which is only a short trip from Bakewell, the famous home of the Bakewell tart; this makes for a perfect place to stop after Pooh Sticks. 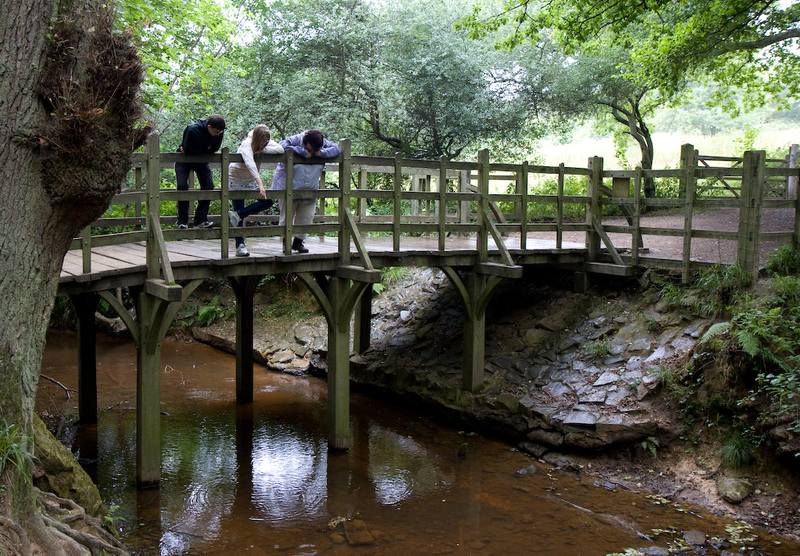 Heale Gardens are not just the venue of a perfect Pooh sticks bridge; they are a great place for adventurous children to have fun exploring, and play games such as hide and seek. There’s fun to be had for a good few hours at the gardens and a game of Pooh Sticks should of course be part of that. 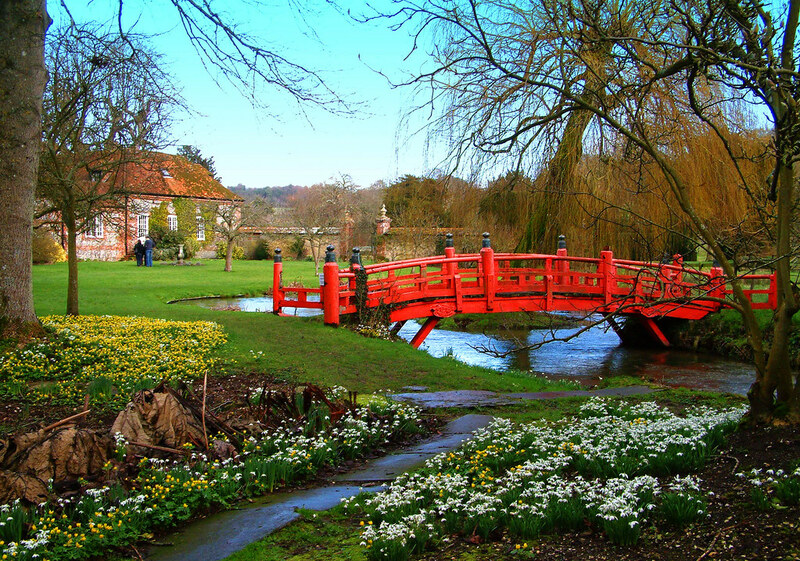 The Pooh Sticks venue at the gardens is the beautifully coloured Nippon Bridge. Entry to Mottisfont is not cheap but it does provide good value. The grounds are vast, with lots of laid out walks for all the family. Often the grounds play host to outdoor theatre productions, or visitors can go inside the abbey to explore. 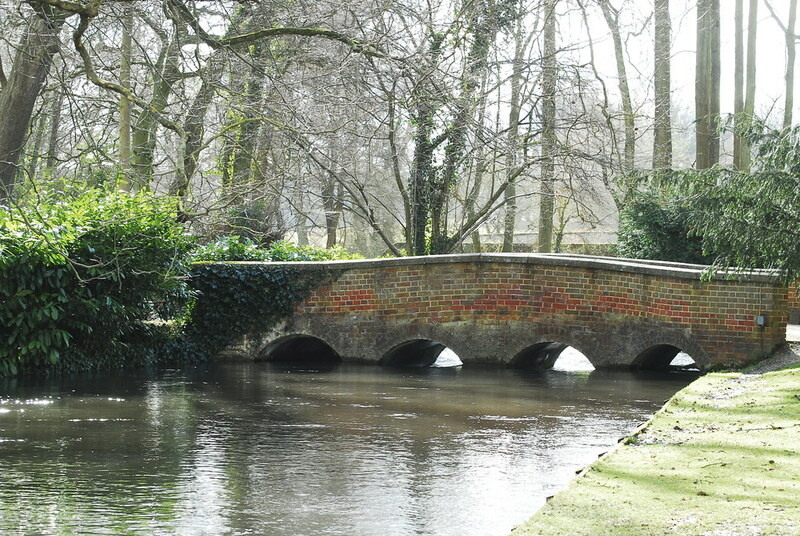 From a Pooh Sticks point of view, Mottisfont provides a choice of three bridges; perfect for any Pooh Sticks fan. A trip to the mathematical bridge can also include a visit to Cambridge University; the bridge connects two parts of the University’s Queens College. You can also take a boat trip along the river, but remember to look out for falling Pooh Sticks from other enthusiasts of the game. The North York Moors have a wild beauty all of their own. 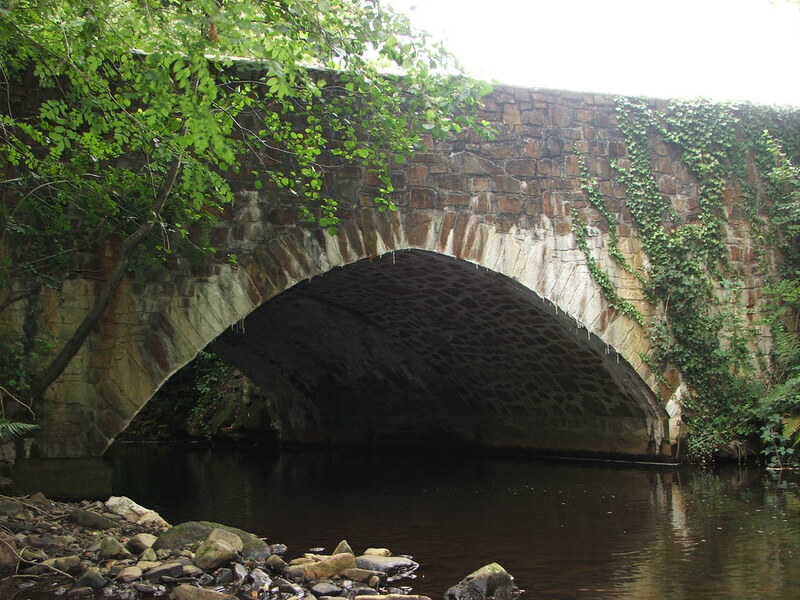 The Hutton-le –Hole wooden bridge is situated in the midst of the North York Moors National Park and is surrounded by this beauty. 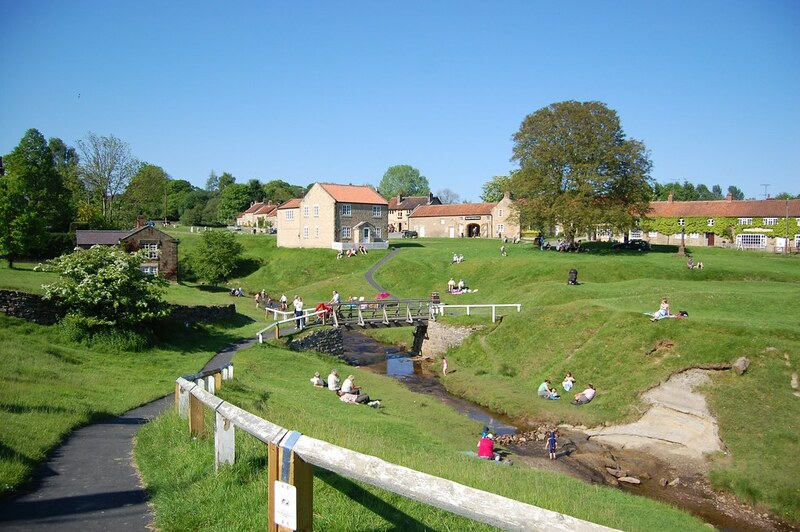 After a competitive game of Pooh sticks visitors can take a trip around the Ryedale Folk Museum which provides an amazing insight into the history of the area. Any of these venues make a great place to play Pooh Sticks so that you can follow in the footsteps of Winnie the Pooh and his friends Eeyore, Piglet and Tigger. This article is brought to you from the team of VoucherBin.co.uk.